The 9 Pound Hammer marijuana seeds are the star creation of the Jinxproof Genetics bank. This is the most renowned cannabis variety in the catalogue; a very powerful Indica with a fruity and very productive aroma. Best Friend has fruity aromas and flavors, with notes of grapefruit and grapefruit and a pungent and rough touch. Its effect is euphoric and stimulating, providing the energy boost needed to face the day with a wide smile. This is the ideal variety of marijuana for people suffering from depression, anxiety or stress. Recommended for organic grow for indoor, outdoor, and hydo growth. This strain grows very uniform early in flower cycle, but has an addition growth spurt halfway thru flower cycle. Stake or scrog as needed. Recommended for many farming styles. 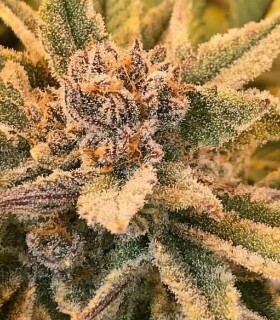 She is typically sativa dom, so she can stretch quite a bit, and can handle a heavy prune late in veg, or 2 weeks into flower for a nice even canopy. This will also encourage larger bud production. 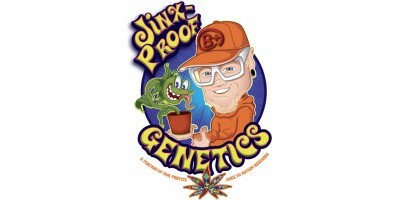 Jinxproof Genetics' Safety Meeting marijuana seeds have their origin in the union of an Electric Watermellon and the famous 9Pound Hammer. This is an Indica-dominant cannabis strain that develops two different phenotypes and has high productivity in common.